Adding blood-based liquid biopsy testing nearly doubled the number of mutations detected in non-small cell lung cancer (NSCLC) compared to solid tissue testing alone, researchers at the Abramson Cancer Center of the University of Pennsylvania concluded in a study published today. Of patients with targetable mutations that were identified via liquid biopsy, 86% achieved either a complete response, partial response, or stable disease, the researchers reported, adding that patients whose actionable mutations were detected by the liquid biopsy responded favorably to targeted therapies. The study, “Clinical Implications of Plasma-Based Genotyping With the Delivery of Personalized Therapy in Metastatic Non–Small Cell Lung Cancer,” was published today in JAMA Oncology. In the study, researchers cautioned against using liquid biopsy to replace tissue biopsy. That conclusion was questioned in “Plasma vs Tissue Next-Generation Sequencing in Non–Small Cell Lung Cancer—Either, Both, or Neither?”, an accompanying editorial by Bishal Gyawali, M.D., Ph.D., of Brigham and Women’s Hospital and Harvard Medical School, and Howard (Jack) West, M.D., of the Swedish Cancer Institute in Seattle. The co-authors questioned whether NGS itself was ready for routine clinical use, by saying that while appropriate in newly diagnosed advanced nonsquamous NSCLC, data has yet to emerge that would clarify an efficacy benefit to NGS overall. However, Drs. Gyawali and West saw merit to liquid biopsy as a first step in detecting mutations, to be followed by solid tissue testing. “The study compellingly demonstrates that plasma NGS [next-generation sequencing] can obviate the need for tissue NGS in patients in whom plasma testing demonstrates a mutation,” Drs. Gyawali and West wrote. “The relatively high rate of molecular marker detection from plasma also offers a strong option for patients for whom tissue is not available and challenging to obtain. “These results, combined with the patient satisfaction with the relative ease of providing blood rather than a solid tissue sample, suggest a clinical strategy of pursuing plasma NGS first, then tissue NGS if plasma NGS cannot detect relevant mutations,” the editorial added. Researchers aimed to learn if the addition of liquid biopsy could improve detection of actionable mutations in genes relevant to managing the care of patients with NSCLC, including EGFR, ALK, ROS1, and BRAF. The study evaluated 323 patients treated between April 2016 and January 2018, of whom 35% (113) were determined to have targetable mutations. Overall, among 229 patients who had both liquid and solid biopsy, including patients for whom solid biopsy was not possible, the addition of liquid biopsy nearly doubled the number of mutations detected from 47 (20.5%) to 82 (36%). Sixty-seven patients received a targeted therapy indicated by liquid biopsy alone or liquid and solid biopsy together. Of those, 42 were evaluated for their response, and 36 (86%) achieved either a complete response (1), partial response (19), or stable disease (16). “These findings show that liquid biopsy is increasing the detection of mutations we can target and improving patient outcomes, and when you combine that with the reality that liquid biopsy is less invasive for patients and, in some cases, may be the only option for patients, the clinical impact is very clear,” said Charu Aggarwal, M.D., MPH, an assistant professor of hematology-oncology and a co-lead author of the study along with Jeffrey C. Thompson, M.D., an instructor of clinical medicine. 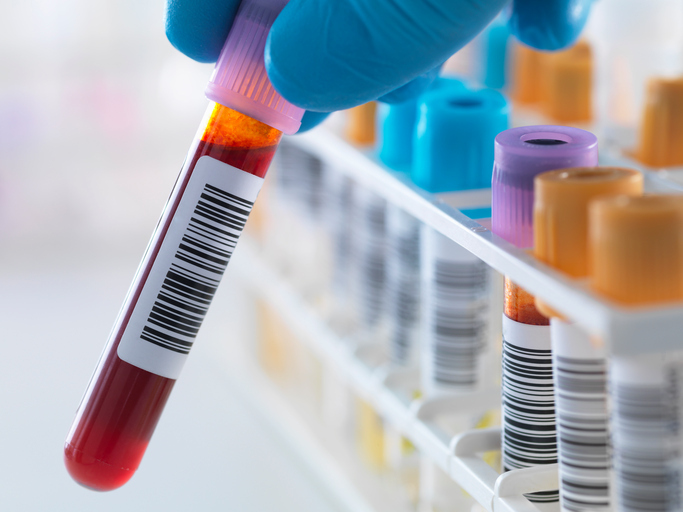 Most previous studies have analyzed the impact of liquid biopsy in the setting of a specific clinical trial or for a single therapeutic agent. The study was supported by the Penn Center for Precision Medicine’s Accelerator Fund Projects, the Abramson Cancer Center Lung Cancer Translational Center of Excellence, and the NIH’s National Center for Advancing Translational Sciences (NCATS; KL2TR001879).